Falernum is essentially a sweet syrup used in various tropical drinks (think Zombies and Swizzles). 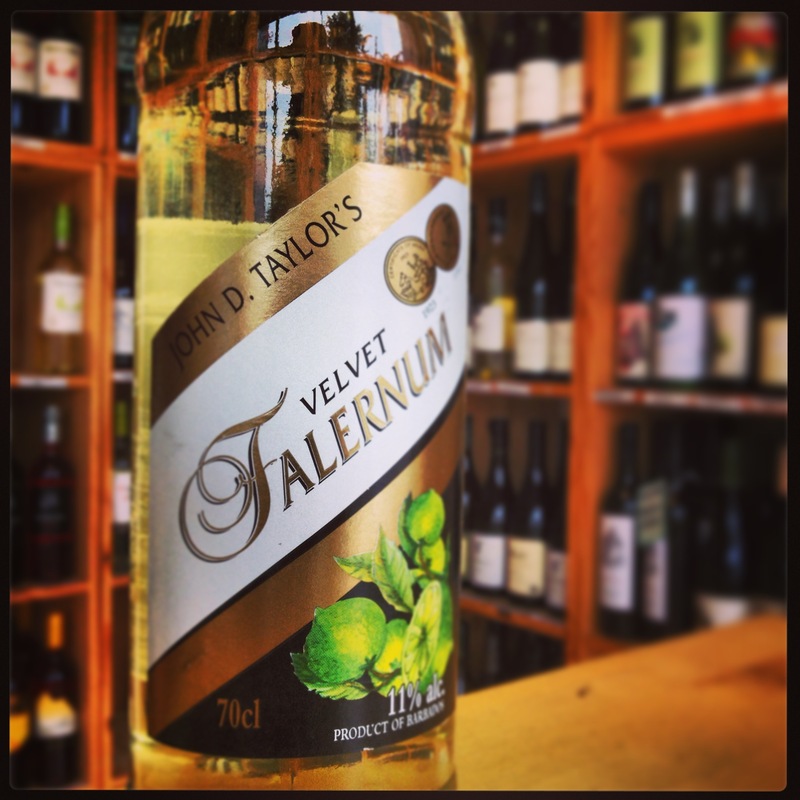 One of the more well-known brands used in the bartending arena is Taylor’s Velvet Falernum. First created by John D Taylor of Bridgetown, Barbados in 1890, the liqueur is made with a combination of sugar cane, lime, almond and cloves. This particular brand is alcoholic, as well as the new Bitter Truth, but there are some that are non-alcoholic including Fee Brothers. Falernum owes its name to the renowned ancient Roman wine falernian, known as falernum in Latin. It was Rome’s most favoured yet most expensive wine. Modern Falernum has almost nothing in common with its ancient predecessor except its golden tint. Hits of limes and cloves on the nose with a dry scent lingering. Thick, smooth texture on the palate with an incredibly sweet offering of almond and lime. Short. Mix in pitcher with crushed ice, shake vigorously until a frothing head appears. Strain into cocktail glasses. 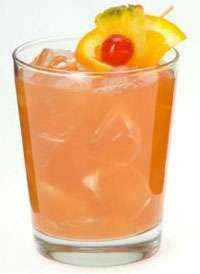 Garnish with a slice of orange and a cherry. Serves 6. Most bars, especially the tiki kind, will stock Falernum, and it’s always a good liqueur to have available if you like your Caribbean drinks at home, or indeed for some Swizzle parties!